Bitdefender Antivirus Plus Free Download 2016 Edition latest version 20.0.28 for Windows 32/64 bit. Get Bitdefender Antivirus Plus offline setup, standalone installer. This software offers protection against trojans, viruses, spyware, malware and safe ways to guard your computer against other threats. It features advanced technology to improve speed and accuracy of the detection engine. The protection is provided without any hit in computer performance while you’re doing your ordinary tasks like browsing the web, playing games, watching movies, listening to music, doing office work and other activities. It knows to delay some of it’s tasks when you are using the computer. Most of the actions will be taken without user input, keeping the pop-up alerts to the minimum. User attention must be paid from time to time to fix any existing problems. The user interface suffers some changes to further improve the user experience. The main windows displays information about protection status, buttons to access quick scan, vulnerability scan and system scan. Also, you have ways to access the application’s modules, to start updating and to enable or disable the Autopilot. If you’re looking only to be protected by having to not interact too much with the antivirus you should put the Autopilot to ON position. By doing this, you won’t see alerts, pop-ups and the configuration of the modules are made by the application. 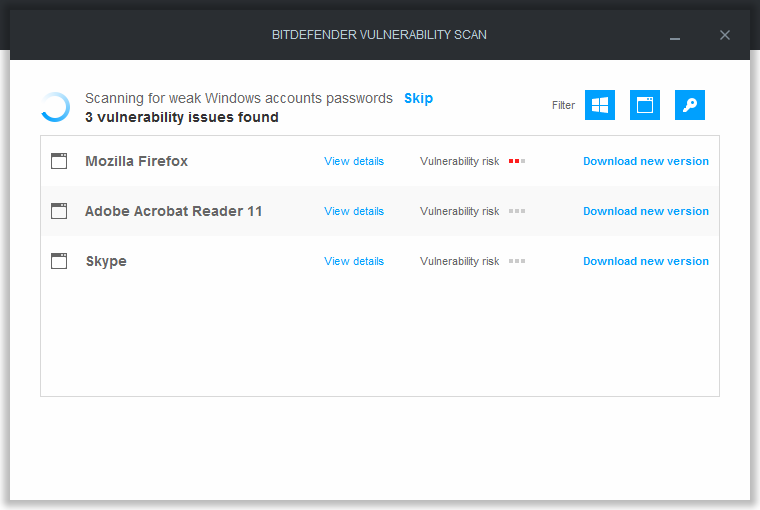 Bitdefender will manage the antivirus protection, scanning, updates and the web protection. You find even more protect for internet related threats by download Bitdefender Internet Security 2016 or Kaspersky Internet Security. If you have the Autopilot turned ON and you try to change any setting, this will result in the Autopilot being turned off. The antivirus engine has 3 scan methods: quick scan, system scan and custom scan. The Quick one will search for viruses that can be found in the most common places and the System Scan will search the whole computer for any threats. Make sure the application is always up to date before starting any scans. 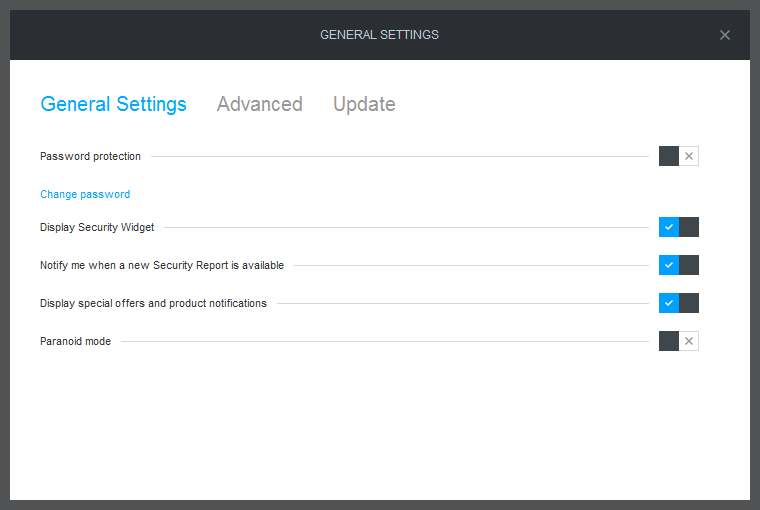 To configure a custom scan you have to select the Protection tab and under the Antivirus module, select Manage Scans. From here you have to go to New custom task and select the locations you want to be scanned. By going to Advanced mode you can select the scan level which better fits your needs. Autopilot: intelligent assistant which manages everything important about your Bitdefender’s behaviour. Bitdefender Profiles: the application will prevent alerts from distracting you while you work, watch movies or play games. Automatic Learning Technology: the antivirus is always learning about new threats in order to stop malicious code from being executed. Photon Technology: a faster and low resource consuming anti-malware scanning technology. Ransomware detector: blocking malicious programs from encrypting your data that can be taken back after you pay them money. OS: Windows 7 with SP1, 8, 8.1, 10. 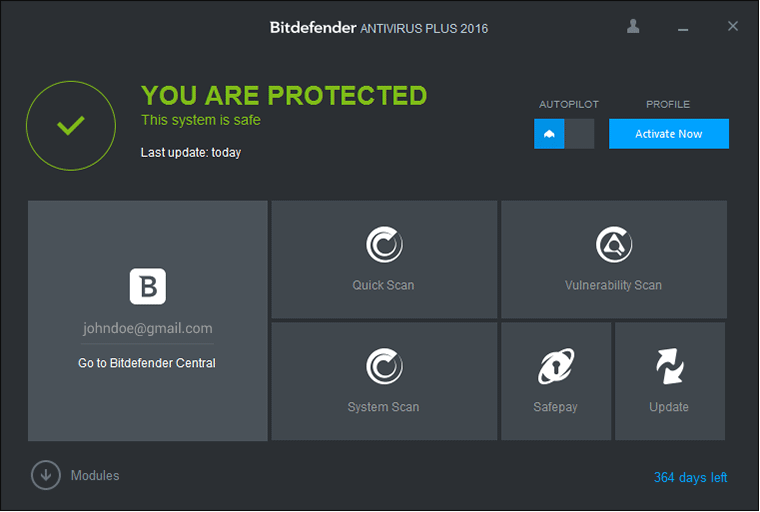 Click the link below to start the Bitdefender Antivirus Plus Free Download 2016 latest version. If you have any problems while downloading please leave a comment below. After the page opens remember to choose the “Download through your browser” option to start downloading Bitdefender Antivirus Plus 2016 Edition Offline Installer, Standalone Setup.